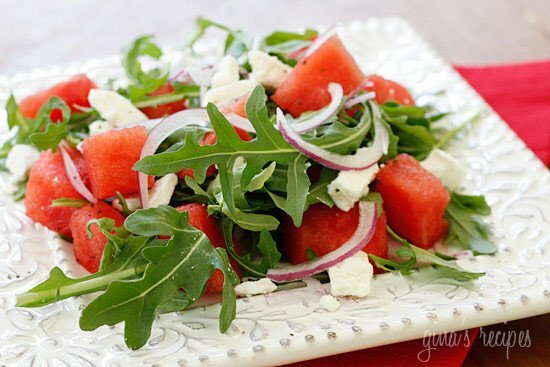 A refreshing summer salad, made with sweet watermelon, peppery arugula and feta cheese. 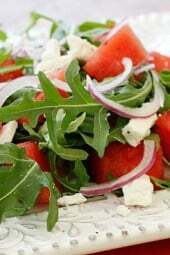 The first time tried this salad I was in a very trendy neighborhood eatery in Brooklyn and this salad was a wonderful surprise. All the ingredients compliment each so well and it’s so pretty to look at too. Give this a try, it’s perfectly yummy with grilled dishes! 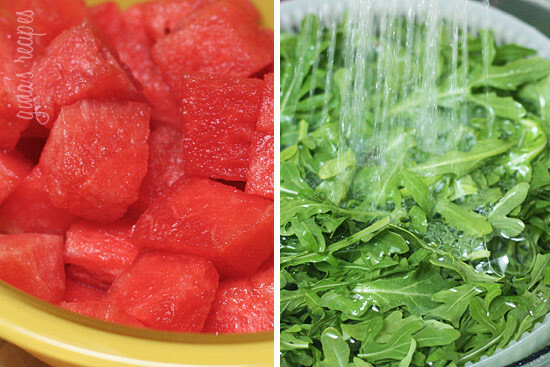 Wash arugula and dry well. In a large bowl whisk vinegar, olive oil, salt and pepper.